If you are among the 800 million monthly Instagram active users, you probably know the power of social networks as a marketing strategy. This is a prime place to promote your products and services, connect with customers and reach new target markets. Using Instagram for marketing is a sure way of reaching out far and wide. However, to be sure of success in this, content creation; of course, after successfully creating your professional or business Instagram account, is of immense importance. When using your Instagram for business, it is vital that you build up an engaged and loyal audience. But, just how do you ascertain that your followers engage with all your posts and help you grow your business on this platform? Well, the perfect answer to this is by creating quality content. In this module, you will learn about creating great and compelling content as well as how to create content that looks professionally done. It is very important that your first 10-20 posts on your page appear very good, nicely designed and the aesthetic is up to scratch. You will be driving a lot of eyeballs and a lot of users to your account when you put up an impressive and meaningful post. Your intended target customer will visit your account to explore more if the user finds something interesting in the post. Your reputation and your first appearance matters and people will quickly decide whether to follow your account or not. Your post’s aesthetics are up to scratch. You need to brand your images. You need to make sure that you have a consistent theme. It is recommended to post at least 10 great posts before doing any other module in terms of growth hacking and getting a lot of followers very quickly. Uploading a photo or video is very easy. You can do this both from mobile and desktop Instagram versions. For desktop, you will need some Google chrome work around. 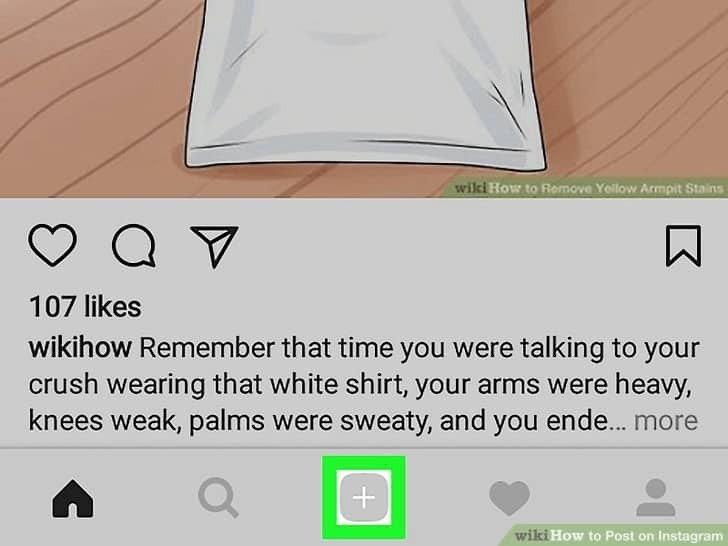 Follow the following steps to post to your Instagram account. 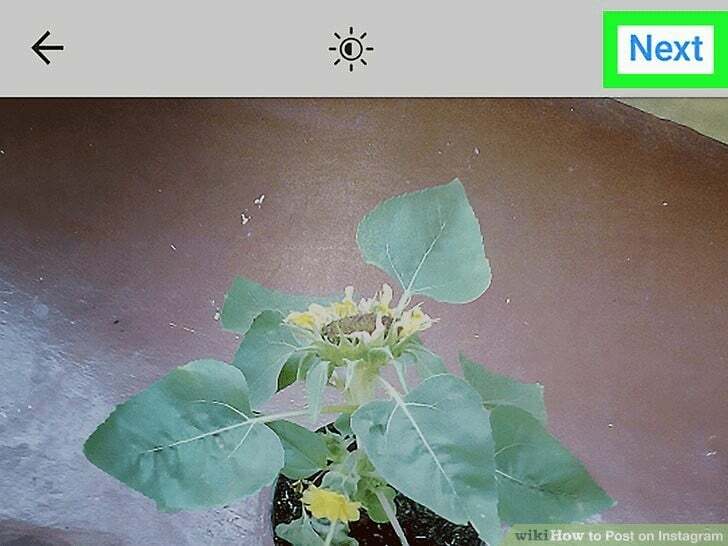 Select the camera in the middle – doing this brings up the Instagram camera interface. Choose the images you want to post – you can source your image from your gallery/library, take a photo or a video. For the gallery, the app opens a list of images or videos saved. For photo and video options, it opens a camera for you to take real-time photo or video. Press next – this opens the Instagram’s editing window. 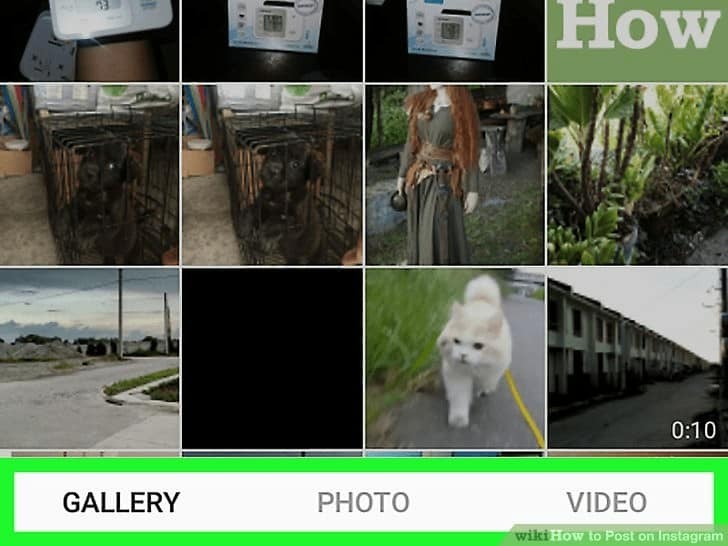 If you want to select more than one photo, tap the overlapping squares on the right side of the screen. This creates a slideshow of photos that followers and other users can scroll through. You can also check out some filter options if you need to do some editing to the photo. Write the caption – to do this, tap on the text field usually at the top of the screen then type the caption you want to use. You can also tag other Instagram friends by tapping the “Tag People” option. To add the location, tap the “Add location” icon and select a location. Press share – this will post/upload your photo or video to your Instagram page. The post automatically shows up in the homepage feed of any user who follows you. Whatever your niche is, you can add some few quotes, and it works great in making your content viral. You can use some apps to create professional looking images. This can be done from your phone. This is an easy to use app that requires zero design skills. This saves you tons of work as it automatically creates complex design layouts. You can choose from more than 40 different typographic styles that use beautiful typefaces from various famous designers around the world. Get to enjoy other professional filters, adjustment tools, and overlays to polish your photo backgrounds. Besides, the advanced crop options allow you to create perfectly sized images for Instagram posts, wallpapers, flyers, postcards, and posters. Do you want to customize your design even more? You can use the 3D text distortion, text shadows, colour gradient tools and partial eraser to add some more creative touch. Lastly, you would certainly want to share your photo after such editing. 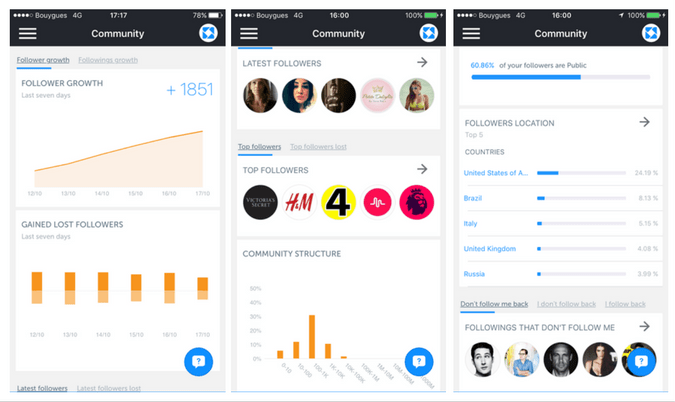 The app features easy sharing options to add your creation to Instagram and other popular social networks. 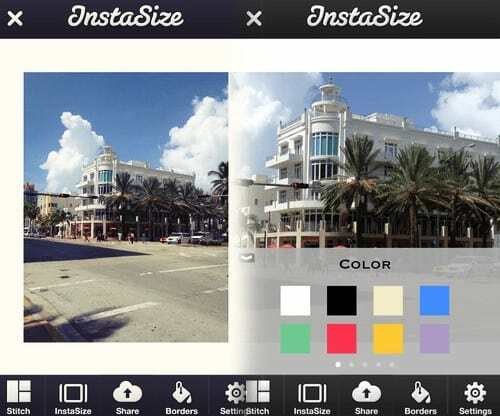 This is a simple photo-editing tool that allows you to add images from your Android device. It won’t do much but provide many possibilities when it comes to inserting text to a photo. Phonto allows you to modify several aspects of the photo such as size, font, position, colour of letters, text inclination and much more. All these edits are done simply and easy. 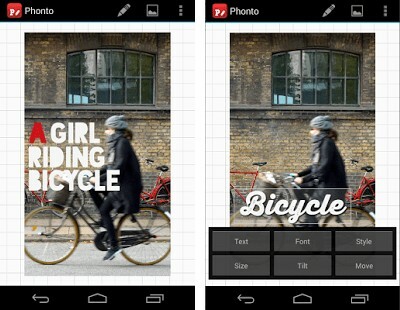 For this app, the number of editing tools are quite limited. However, it includes additional editing option that provides much room for manoeuvre. Add your logo and save. You can save images in both JPG and PNG. Quotes – works really well as it is extremely shareable and easy to create. Example: “I’m too creative to have a 9 to 5.” – A great quote as it triggers an emotion. * It’s all about creating content that triggers an emotion, you have to know what your target audience wants, what excites and what is valuable to them. Valuable Tips – Check out “incometips” Instagram account. They are sharing good tips on how to grow your business. Product push – Check out “foundr” account post using a photo to download a free guide by pressing the link on the bio. NOTE: Make sure that your content is visually appealing and valuable to your target audience. It is highly recommended to post every single day. Be consistent with your posting based on your theme. It is suggested to have at least 10 – 12 amazing images to take every week. You can start posting 2-3 times a day. Always remember the more you post, the fast you grow. If you have a mission to achieve that kind of success with the Instagram, you have to be prepared especially in the first couple of months in posting a lot. Every single image that you push out is like a test. When it comes to the best time to post, you can use the tool “ICONOSQUARE.” Click the “Engagement” Tab to check the most liked media and the most commented media. These will give you an idea of what your audience like. Also, you can go through the “optimization” tab to know the best time to post. The dark rounds indicate when you usually post media. The light gray rounds when your community has been interacting. The brightest light grey rounds are the best time for you. Commenting is an important factor that can help grow your Instagram account. Commenting on other influential accounts in your niche and market daily because it helps to build exposure for your Instagram page as well as helps to build a relationship in your market. It is recommended to have at least top 10 influencers in your market. The big part of dominating Instagram is not only that you have a high traffic page generating a lot of customers, sales and leads but you are getting tons of exposure, and all the influences in your market know who you are. 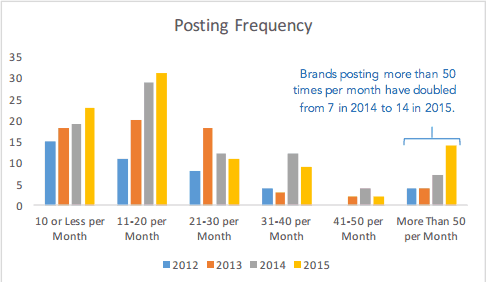 Spend time to post comments on other accounts, at least 1-2 times a day on other influencers’ accounts. Instagram allows you to posts on your phone. You can do it on your PC using Google Chrome. If you are using a Tablet, you can download the Instagram iPhone version. It is highly recommended to use the platform called Latergramme (Latergramme.me). It allows you to schedule everything up, approve it all, like themes, managing them all. You can add an image, your scheduled and posted and unscheduled stuff. You can also get your public submission. Download the app, when it’s ready you can get a notification on your phone that it is ready to post. PIXABAY – Great image source if you want to make some quotes. *Stock file ton of images and save it to your Dropbox or Google drive. ALLTHEFREESTOCK.COM – Another great source of awesome random stock images. PLACE.TO – It’s a great image source if you have digital products. 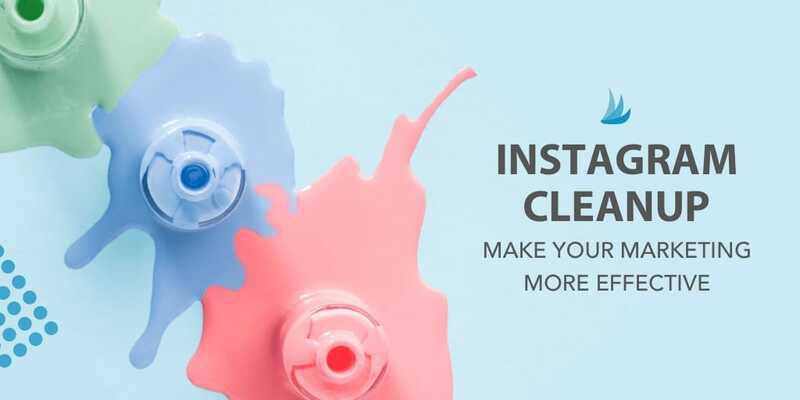 What is account clean-up, how and why is there need of doing an account clean up? An account clean up is when you go through your account feed, checking what you’ve been posting for a month or so. Probably, you just have been posting images, and you don’t know what’s working. You obviously want to have nice and secured feed. You need to clean-up the account once a month. Try to examine your account and see what images are working. Keep the feed nice and clean. You just need to go back to all your previous post and delete those who have less engagement or is not doing very well. But of course, you save them first as you can use it again in the future before deleting. Images are a great way of expressing your brand, even better than written content. However, to achieve this, it is of immense importance to upload great quality photos. Clients like seeing actionable tips in a photo form as it will stick longer. This could be great way of using instagram for marketing. You are certainly wondering how to make images fit nicely on your Instagram page? Well, it is quite simple. To begin, Instagram supports photos in both rectangular landscape and portrait orientations. Resizing an image cannot be done on the Instagram application. This is only possible by using a third-party application. The process itself is easy, requiring only a few clicks. There are various third-party applications that can be used to accomplish this. Instasize is perhaps a common app used by many followers. Begin by downloading and installing this application from the app store. Once installed, open the app, click the camera button that gives an option to use a photo in your library or take a snap using your camera. Once you select the image or take a snap, press “Insta size” and you are done. Your photo will be ready to be shared or saved in your photo album. Liking, commenting and sharing are all parts of Instagrammers and other social media users daily vocabulary. 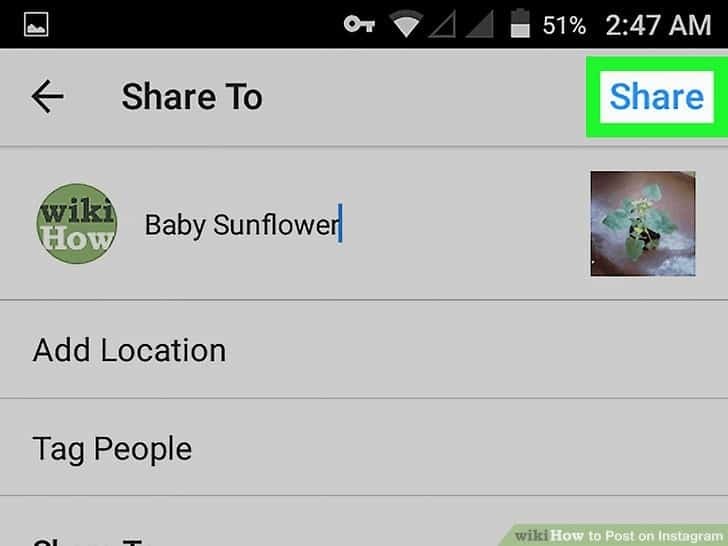 However, one social media application will not allow you to share the content from other users on the app easily. Reposting an instagram post from your influencers or client is among the best ways of using instagram for marketing. Frankly, there is no conventional way to regram or repost an Instagram post like the readily available “share” button on Facebook and concurrent “retweet” option on Twitter. Technically, Instagram users can share content with their friends through direct message. However, you can’t do this to all your followers. Therefore, how do you share to all your Instagram followers? Luckily, there are apps for that. You can use third-party applications such as InstaRepost, Regram and Repost for Instagram. Before doing this, make sure that you do copyright to the respective owner. Through either of the Instagram tools, sign up using your Instagram account. Follow the easy and self-explanatory steps provided in the app. Make sure you will mention that you don’t own the video. 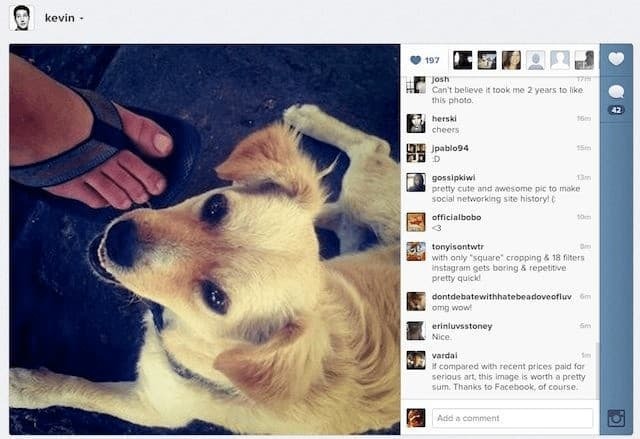 For enhanced marketing, you can incorporate hashtags in the captions and comments of your post. If you include a hashtag to a public post, the post will be visible on the corresponding hashtag page. Just to mention, hashtags are an integral part of Instagram. 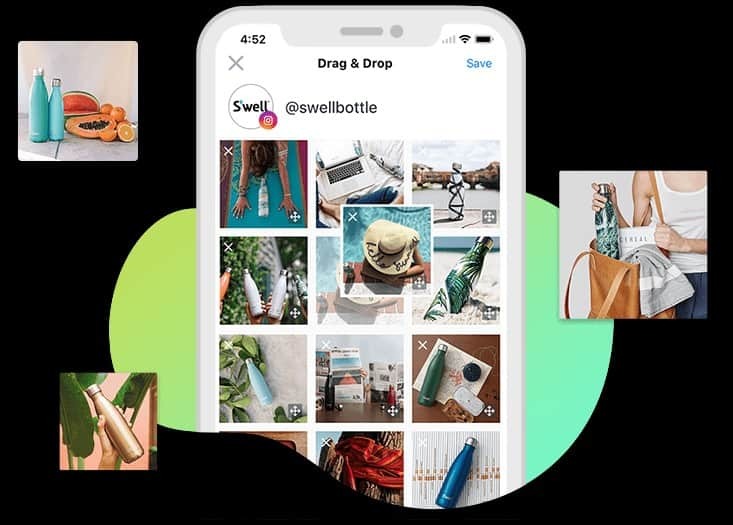 They can be beneficial by helping you to expand your reach, connect with new users, spark discussion as well as track user-generated content. 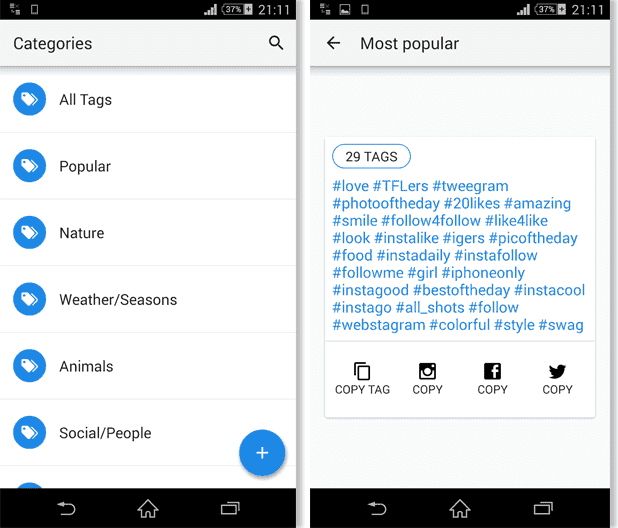 Recently, Instagram updated their settings to allow users to follow hashtags. If you can track hashtags, your target audience is likely to follow too. This is a direct and instant way of getting feeds of audience to members who may have not be aware of your products and services. Isn’t this a good way of using Instagram for marketing? In this module, you will learn everything about hashtags. It is an important key to dominate Instagram. This is one cool component you need to master. You will also learn the basics on how to find your hashtags, how to post your hashtags, and different tricks on posting your hashtags. Moreover, you will know how you can optimize basic single content that you post on your page. In this module, we will be dealing everything it takes to get a ton of followers, a ton of engagement and a ton of attraction for your account. Posting your hashtags and saving them is extremely important. This is because if you don’t do it, you lose about 10% of engagement at least for every single time you post. It is not optional, but a master and a quick win-win game for every single post. It is highly recommended to post 30 hashtags for every post. You shouldn’t put the hashtags in the caption section but in the comments section. Posting content with hashtags makes your post public and easily found by other users. In this way, you will be giving yourself the most possible chance that people find your content, engage with your content, follow you, and eventually move to your email list or sales page. Using android phone go to your notepad on a note section. Go to the hashtags that you have saved in your notepad. Select the desired hashtags and copy them. Add it to your comment. Make sure to utilize your hashtags. Always hide your hashtags and maximize them for every single post. It is extremely important to research your hashtags because you don’t want to be posting copy hashtags essential doesn’t hitting the right tag and audience. You want to be posting hashtags so that the correct tag and audience finds you, finds your content, follows your page, further interact with your brand, and eventually buys your stuff. Therefore, it is critical that you search and find the right hashtags to use. To research hashtags, you need to use different tools. 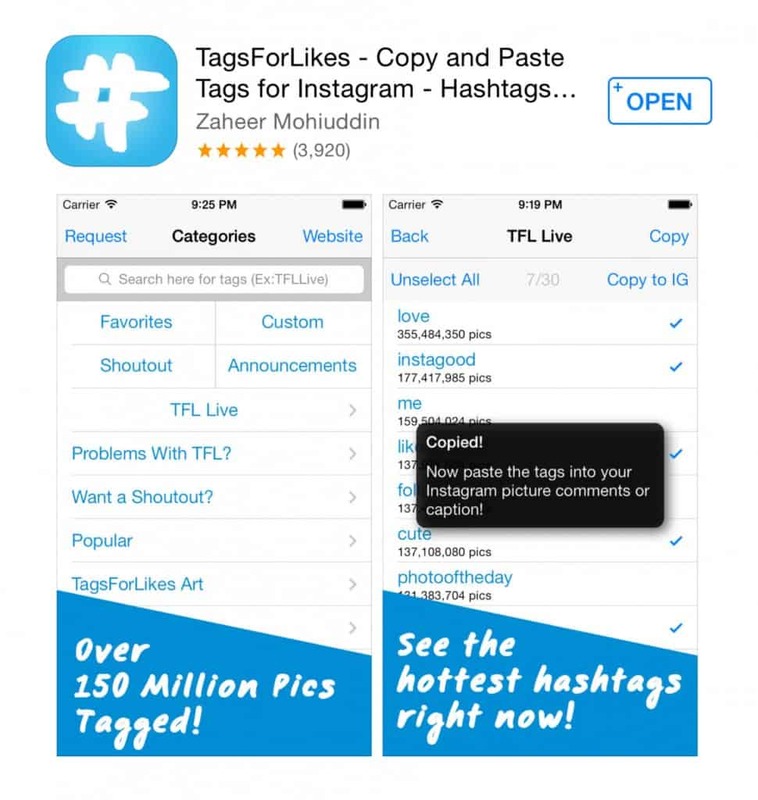 Tagsforlike tool is the best place to find the most popular hashtags in your niche. Depending on your niche, you can find high traffic hashtags. When doing this, always look for the hashtag that brings a lot of attractions. Think about some other things that might relevant to your tags and audience. Look for the hashtag that suits your stuff and markets your products. To do this, you will need to find approximately 30-40 hashtags for every post. Keep searching for your niche to find relevant hashtags that have decent engagement. You will have to think about your own hashtags with own brand. The mindset or the strategy behind follow me-follow you strategy is that the only way to give a massive boost is to start following other like-minded account and start targeting accounts that you know have intended target audience similar to yours. Nonetheless, it is a very important tactic that allows you to grow super-fast. When you do the follow me follow you strategy, at least 20-40 person of the people that you follow will follow you back, which is a powerful guide. Keep in mind that an Instagram account allows you to do up to 50 followers an hour with the maximum of 400 a day, a maximum of 400 actions. Similarly, you can essentially follow 200 people and unfollow 200 people in a day. To do this, there are tools that can make work easier. Some of the best include the Crowdfire and the Instagress tool. 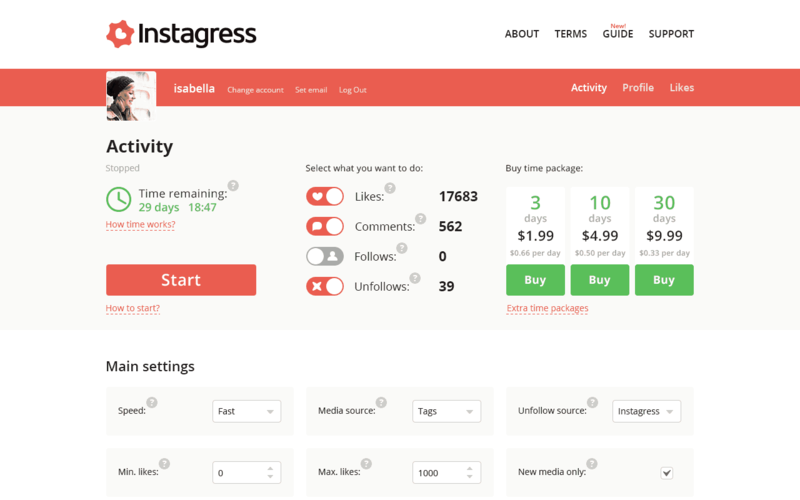 Instagress is the tool that you can automate. But using this you cannot grow as fast. If your growth is your concern it is recommended to use Crowdfire however if your happy as possibly as you can it is great to use Instagress is the best option. You should always be extremely careful with your comments if you’re using the Instagress because there is a big chance that your account will be banned. It is highly recommended not to use Instagress in commenting. 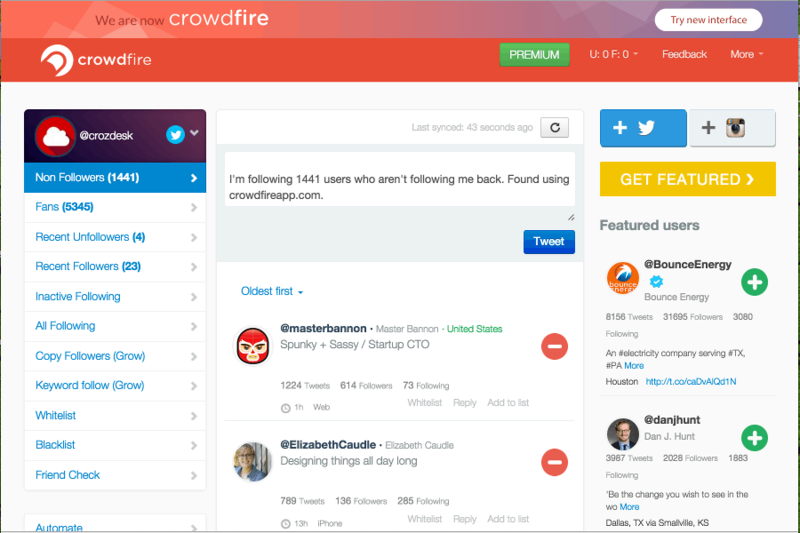 Crowdfire allows you to follow and unfollow people really quickly. It is highly recommended for follow you follow me strategy. How to use Crowdfire on your phone? Open up the Crowdfire app. You can see non-followers, copy followers. There is also a takeoff tool (a powerful tool which is great in scheduling. In a copy followers you can type in any accounts you want. Competitions is really popular in Instagram and the great way to grow your account. You can use these competitions to do so many things. 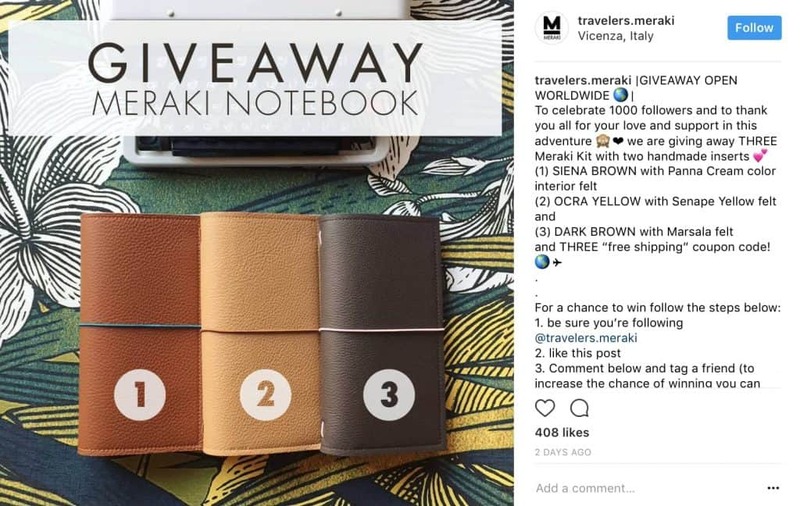 For avid Instagram marketers, they understand how effective contests can help in building brands and generating massive engagement. This resultantly drives some serious return on investments from social media. You will need to be sure that you are giving out relevant prizes that your target audience and followers feel compelled to have. If the products you intend to award the winners are not specific to your target audience, there is a risk of attracting followers who don’t care about your business products and services. Still on this, giving items of a high value produces higher levels of engagement. If you want to give high value prizes but lack the necessary funds, consider arranging some form of partnership deal with other brands. Lastly, put some thought into how you are going to announce the winner of the contest. It is prudent to use a custom image within the post that reveals the winner of the competition. Using Instagram for marketing is quite easy if the little insights mentioned above are put to use. Begin by mastering how to create compelling content, upload great, relevant and quality images that attract followers as well as enhance your brand. Take advantage of the various third-party applications that ease various processes. As mentioned, using hashtags and competitions are yet other vital intrigues to succeeding when it comes to using instagram for marketing. For this, however, you will need to follow the laid down guides and regulations. Make proper use of them to succeed.